You switched to our site for United Kingdom. The GPS Receiver R&S®GPS129 has been designed to provide the user with extremely precise time and position data. The R&S®GPS129 consists of a GPS receiver and a satellite-controlled clock together with a power supply unit, all installed in a metal 19" rackmount and ready to operate. It is available with AC or DC power supply. The GPS Receiver R&S®GPS129 has been designed to provide the user with extremely precise time and position data. When it comes to direction finding and location of radio emitters, the exact position of the DF antenna must be known in order to calculate the target location from the bearings and location of two or more direction finders. 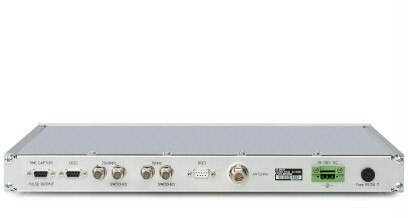 The R&S®GPS129 provides GPS-based position information via the serial interface. 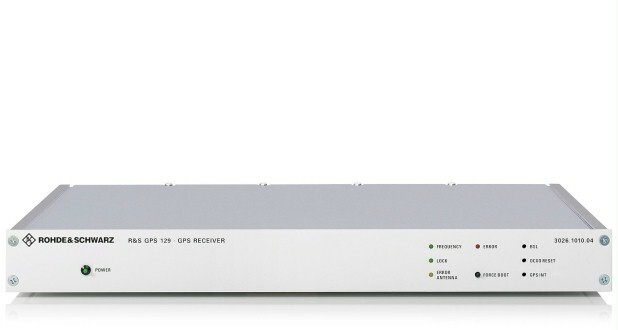 In addition, the R&S®GPS129 offers high-accuracy 2.048 MHz and 10 MHz frequency outputs to increase the frequency accuracy of receivers if the receiver is fitted with a frequency reference input. The R&S®GPS129 consists of a GPS receiver and a satellite-controlled clock together with a power supply unit, all installed in a metal 19" rackmount and ready to operate. It is available with AC or DC power supply. The interfaces and input/output signals provided by the R&S®GPS129 are accessible via connectors on the rear panel. The global positioning system (GPS) is a satellite-based radio positioning, navigation, and time transfer system. GPS is based on accurately measuring the propagation time of signals transmitted from satellites to the receiver. The R&S®GPS129 has been developed for applications where conventional radio-controlled clocks cannot meet the growing precision requirements. High precision available 24 hours a day around the world is the main feature of this unit which receives its information from the satellites of the global positioning system. Remote-controlled operation for optimum integration into monitoring systems, especially Spectrum Monitoring and Management System R&S®ARGUS-IT or Coverage Measurement System R&S®ARGUS-FMTV.